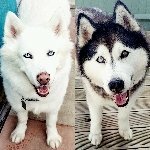 Husky Owners now has 74 votes towards this years awards and 28177 as the total number of votes for all time Please come back to www.1award.co.uk and vote again tomorrow. Have to agree with the others. Show that vet the door asap. Comments like that should not be coming from any vet worth their salt. You have a dire need to socialise her. Ease her in gently though and be aware of her reaction when meeting others. Some pups like to "mouth" as well so something else to be aware of. This action would need to be stopped as well but treated slightly differently. Wonderful choice of dog and enjoy her. If you need anymore help just ask there is a wealth of information on here. Thankyou for voting. 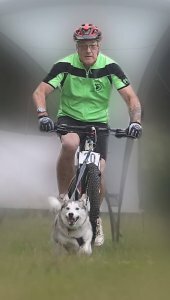 Husky Owners now has 72 votes towards this years awards and 28175 as the total number of votes for all time Please come back to www.1award.co.uk and vote again tomorrow. Is this for the tent area Dunc? If so count me and Lynne in. Arthritis is easily manageable Rob. Our Sasha has arthritis of the spine. She lets us know when she's uncomfortable and we manage her pain but as for getting her to rest, forget it. 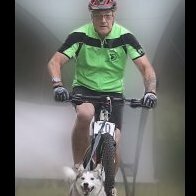 They're huskies mate and, if they want to do it, they will. Took Sasha out with us for a ride the other day. Thought I'd give her a gentle walk through the woods after I'd run the others. She screamed the place down until I hooked her up to the bike and she then proceeded to drag Sapphire round the woods like a 2 year old without a care in the world. I do give her slow release Tramadol when she's done something like this though and that settles her afterwards. I'm so sorry for your loss. This is devastating. I really hope you manage to find out why. It's bad enough to lose a dog that's lived a life but to lose one at such a young age is unimaginable. 😢. Thoughts are with you. A Happy New Year from all at Keeonah Sibes. You have to wear a quality helmet, gloves and goggles anyway Jo. They don't let you take part if not. 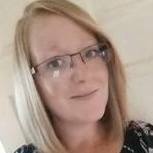 How old is Amy? This is Sapphire again but this time running with new girl Misty.